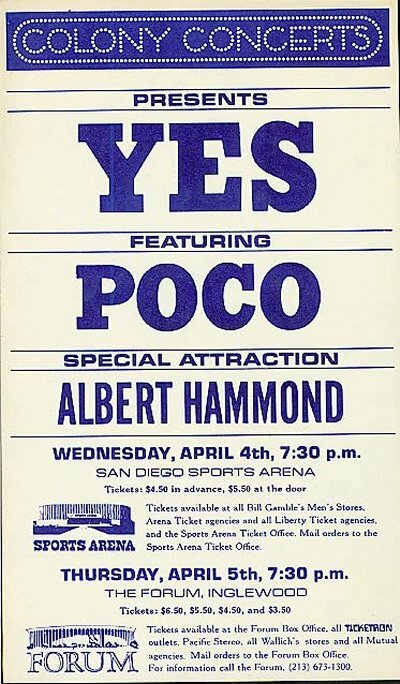 This show had Yes co-headlining with Poco (Albert Hammond opened). Due to technical problems, the show started very late, and it was around midnight when Yes finally got onstage. This explains the somewhat truncated set list.